James Coplan, M.D., Neurodevelopmental Pediatrician, Author and Speaker » Blog Archive » Science in the News – Before you were born…. Science in the News – Before you were born…. This post highlights two papers that suggest an “environmental” cause for some cases of ASD – but probably not the environment you may be thinking of. We’re not talking about yeast in the gut, gluten in the diet, or mercury in vaccines (none of which, by the way, have been proven to cause autism). Rather, we’re talking about the intrauterine environment. The first paper  compared the placentas of women who already had one child with ASD, to the placentas of women who had not previously had a child with ASD. (Placenta is fetal tissue, and abnormalities of the placenta are often a marker of associated abnormalities of fetal development.) The recurrence risk for ASD is about 10%. The hypothesis was that the placentas from the next pregnancy of mothers of children with ASD might differ from those of mothers whose previous children were all neurotypical. (This is termed a retrospective, case-control design.) The researchers identified a specific form of abnormality known as Trophoblastic inclusions (TI’s), that occurred 8 times more often in mothers of children with ASD compared to mothers of neurotypical children. Why TI’s are more frequent among mothers in the ASD group is unclear. TI’s themselves are unlikely to cause ASD; it’s what led to the formation of TI’s in the first place that remains to be discovered, through prospective research (enrolling a large sample of women prior to conception, tracking them through pregnancy, examining the placentas, and tracking the offspring for developmental outcome). The second paper  also employed a retrospective, case-control design, looking at the immune system in a group of mothers who had previously given birth to a child with ASD, compared to control mothers (These were not the same ASD mothers and controls as in the first paper). 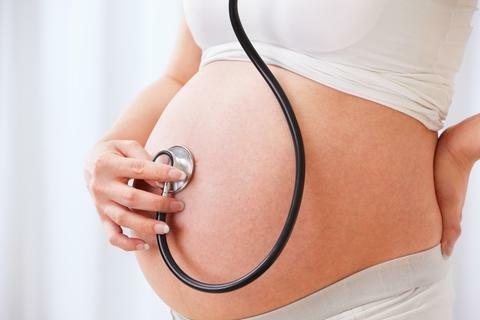 The authors studied a panel of maternal antibodies that were known from previous research to be directed against proteins in the fetal brain. Mothers of children with ASD were over three times as likely to express at least one of these antibodies, compared to the control mothers, and fully 23% of the mothers of children with ASD expressed 2 or more antibodies, versus only 1% of the mothers of typically-developing children. Why some mothers develop antibodies against their babies’ brains remains a mystery. Do they have an intrinsic abnormality of the immune system? Is some environmental trigger setting off an immune response that cross-reacts with fetal brain tissue (i.e., the baby’s brain is an “innocent bystander” that gets caught in an immunologic crossfire)? Is there some pre-existing fetal abnormality that “unmasks” some of these brain proteins, thereby engendering a maternal immune response (i.e. perhaps the maternal antibody response is being directed against an already-abnormal fetal brain)? And finally, are the TI’s in the first paper somehow interrelated to the antibodies identified in the second paper? The authors are engaged in prospective research in an attempt to answer these questions. There is not presently any form of screening during pregnancy for these antibodies, nor any way to prevent their formation. The message in both of these papers is that “the environment” is about more than clean air and water. It’s about keeping the intrauterine environment safe for infant development. In my own lifetime, I have witnessed the discovery and elimination of congenital rubella and Rh disease – two former scourges of infant development stemming from intrauterine insult to the fetus – that are now merely footnotes to medical history. Stay tuned. 1. Walker, C.K., et al., Trophoblast Inclusions Are Significantly Increased in the Placentas of Children in Families at Risk for Autism. Biol Psychiatry, 2013. 74(3): p. 204-211. 2. Braunschweig, D., et al., Autism-specific maternal autoantibodies recognize critical proteins in developing brain. Translational psychiatry, 2013. 3: p. e277.